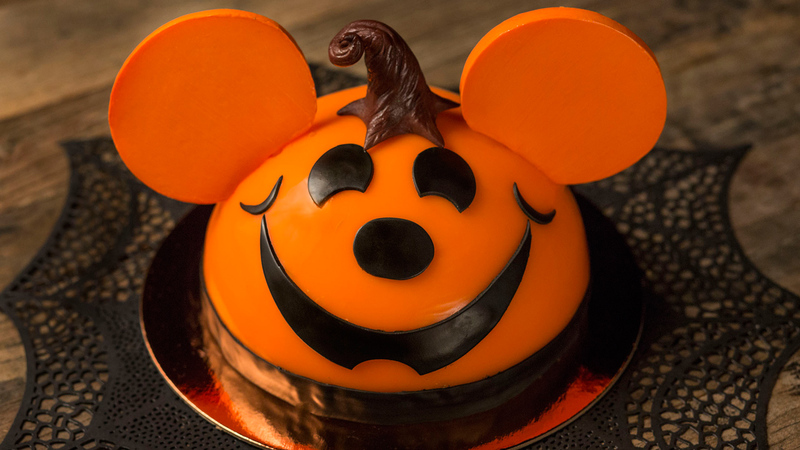 Amorette’s Patisserie in the Town Center neighborhood of Disney Springs will feature a Pumpkin Mickey cake with decadent layers of chocolate chiffon cake, milk chocolate mousse and orange blossom pate de fruit, which will be available from October 1 to 31. The Fall Time Petit Cake will also be available at Amorette’s from September 11 to November 10. 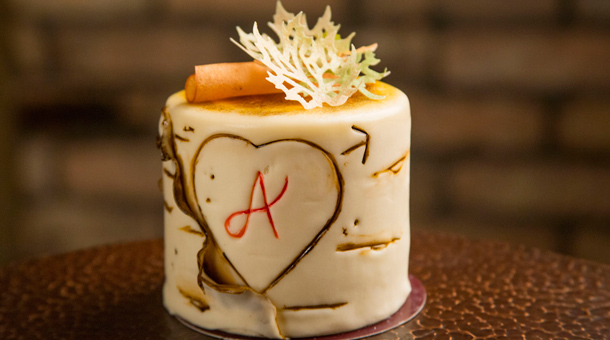 Designed to look like a birch tree with a carved “A” for Amorette’s, this cake features delicious layers of baked apple, salted caramel, milk jam and spiced chiffon cake. At D-Luxe Burger, a Caramel Apple Shake will be available from October 1 – November 10. The creamy vanilla gelato base is perfectly complemented with tart green apple and sweet caramel flavors and topped with whipped cream and a caramel drizzle. 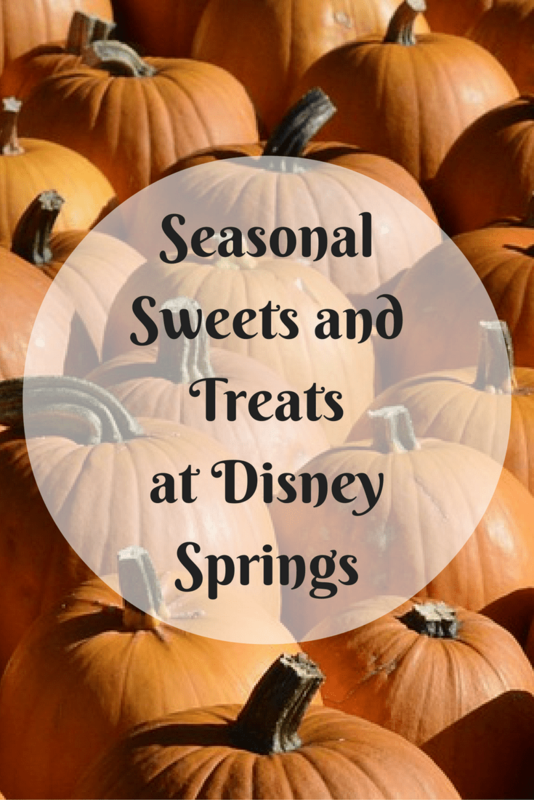 Over in The Landing neighborhood of Disney Springs, new seasonal ganache flavors are now available at The Ganachery, Pumpkin Spice Latte and Cinnamon Apple. 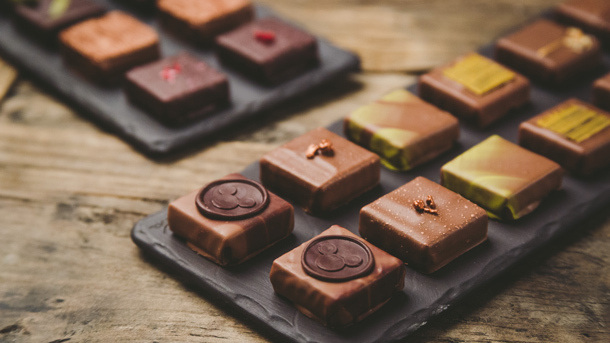 Additional new flavors such as Classic Milk Chocolate, Dark Chocolate Coconut, and Creamy Peanut Butter ganache are also available.